This probably goes without saying, but for us at PhoneArena simply reporting the news just doesn't cut it. We go several steps further, and try to curate the content that we choose to draw your attention to. It should be no surprise, then, that we strive for a mix of what's relevant and what's interesting – and those, as you probably learned growing up, do not always go hand-in-hand. Precisely that, is what this topic is about. A not so well-known Chinese OEM, called Meizu, has had a device called MX3 in its pipeline for a while now, and today we've had two actual images of the phone leak out in the wild. Before we get a little bit more in-depth about the few specs that we do know, we just have to get this out – this phone is a looker. Everything from the polished back panel through the silver/white bezel on the bottom and the minimal LED Home key has an unencumbered, streamlined quality to it. Admittedly, the design does remind us of the iPhone 3G, but we found that to be a good thing, rather than bad. 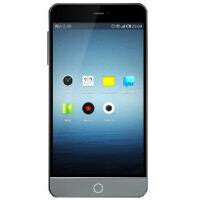 If you thought the Meizu MX3 is just a pretty face, think again: rumored specs include a 5.1-inch 1080p display powered by an Exynos 5 Octa SoC and 2 gigs of RAM. The snapper you see on the back is said to be 13MP and the entire package will, supposedly, measure in at 139.9 x 70.9 x 8mm. The device runs a skinned version of Android 4.2. Jelly Bean called Flyme 3.0. The downside to all this? We have no idea whether the MX3 will at all launch anywhere else except China. Unfortunately, Meizu's track record so far shows that carriers like Verizon and AT&T aren't killing each other to carry the Chinese OEM's wares and we've seen no indication that this is about to change with the MX3. lol they are a chinease company they wont be sued. Will it be featuring the new events? Or will it be running that crap with only cluster core control? Events = Exynos. Autocorrect.. Doh! That interface just reminds me of iOS. Is it just me?